It seems that more and more families in Miami are becoming interested in boating, and after a short period of time, many of those will take the proverbial plunge and invest in boats of their own. This makes perfect sense since it can be difficult prying kids away from their video games and cell phones to get them outdoors, and work schedules can be brutal. Boating is good, clean fun for everyone in the family. It’s also a means to spend time together strengthening bonds and enjoying each other’s company. Knowing how to keep your family safe while operating your new boat is of the utmost importance. Signing up for family boats training in Miami can prove to be the best thing that you’ve ever done. The Miami marine surveyor will help you learn how to proficiently operate your boat safely. The knowledge that marine surveyors can provide to you is priceless, as is the peace of mind you will have after family boats training lessons. Simex International – Marine Surveyors offers comprehensive family boats training in Miami and the outlying areas. Getting to know a new vessel can be aggravating, frustrating and rather confusing if you’re trying to do so without marine surveyors in Miami. While the average boat owner will never have the vast knowledge of a marine surveyor, there are important lessons that they can teach you on a Miami familiarization cruise. Familiarization cruises are merely crash courses on safe and proper operation of your family’s new vessel. The professionals at Simex International – Marine Surveyors provide familiarization cruises in Miami. Many first time yacht owners think that operating a yacht is no different than operating the family boat that they’ve had for years. There is nothing further from the truth. The intricacies involved in safe and proper yacht operation and management can be overwhelming. 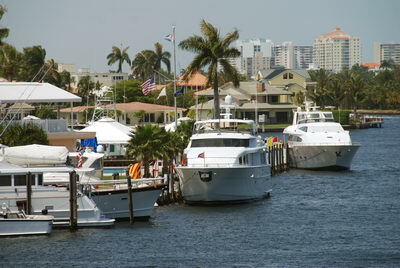 For this reason, it’s best to contact marine surveyors in Miami to schedule family yacht training lessons. This will give you the knowledge and ability to handle the vessel adeptly, while ensuring the safety of those onboard. The family yacht training lessons are in-depth, and personalized to suit your needs and the needs of your family. Simex International – Marine Surveyors offers complete family yacht training in Miami and the surrounding areas. Simex International – Marine Surveyors are the “go to” guys for all professional marine services in Miami, Fort Lauderdale and West Palm Beach. From family yacht training in Miami to familiarization cruises in Fort Lauderdale and marine damage surveys in West Palm Beach, the professional marine consultants at Simex International – Marine Surveyors in Miami do it all. Call 954-854-8181 to learn about the marine services provided by Simex International – Marine Surveyors.